Cross platform (Mac, iOS, Linux via Wine, and Android). How to extract: Download the "Standalone" ZIP package and extract to a folder of your choice. Launch Caustic.exe. - New synth, support for stereo samples, support more meters (3/4, etc. ), improved wav editor, more export options, etc. 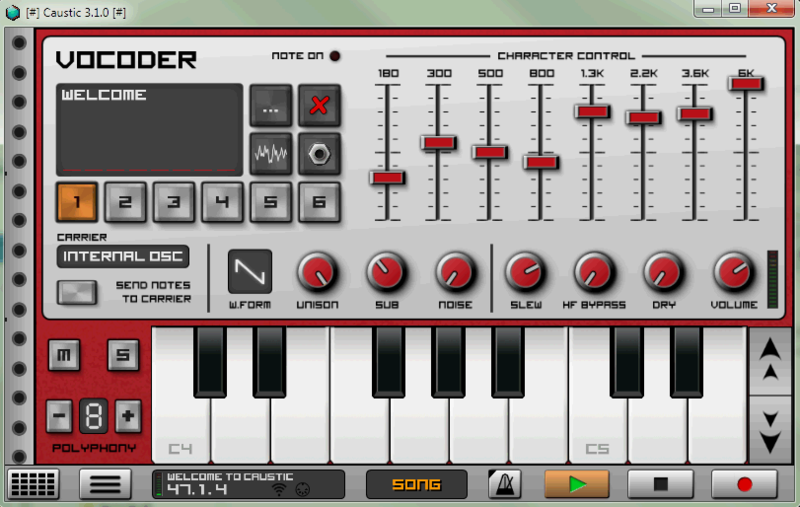 VisualMusic lets you play 128 musical instruments on your PC including flute, bagpipes and even whistle. You can even record, edit, and save what you are playing. If you not expert with the keyboard, the program provides you an easy scripting language to create music just by entering what key in which instrument you want to play for how much time. 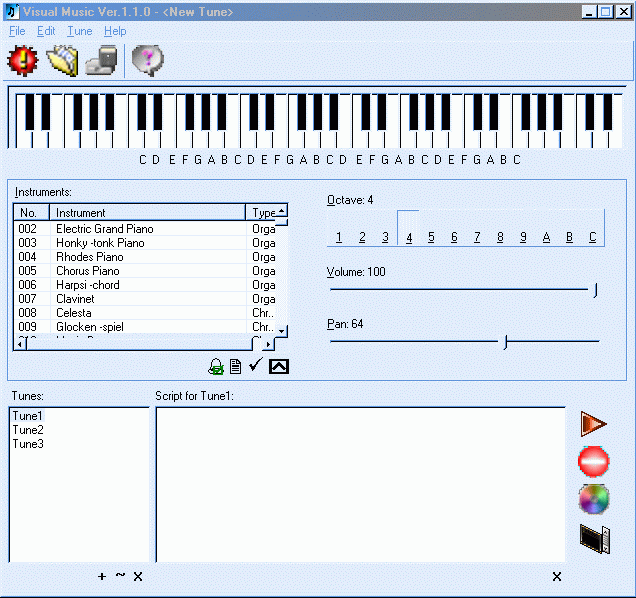 X-VisualMusic is the portable version in win-PenPack format. How to extract: Download the ZIP package and extract to a folder of your choice. Launch X-Visualmusic.exe. 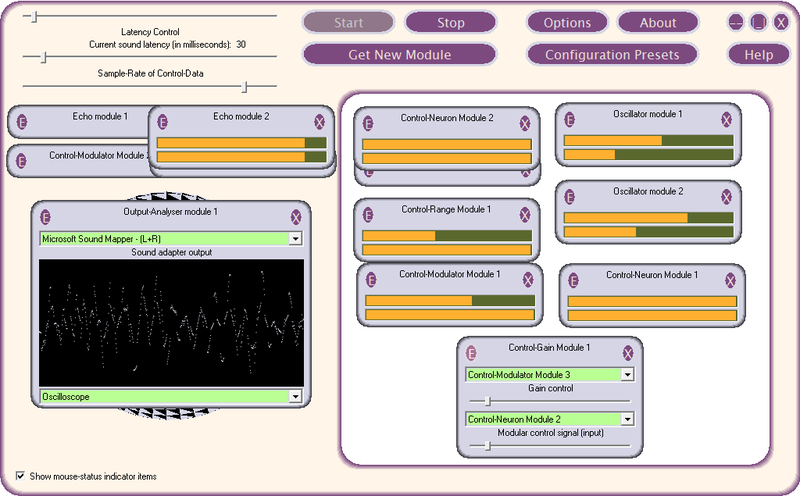 RolloSONIC is a modular sound-synthesis environment with mouse-guided tweaking and real-time module interconnection. Automated control channel duplexing, a variable-bandwidth control pipe, and multi-device euphony support various possibilities. Like the great module racks historically used in making sound effects for science-fiction movies, RolloSONIC lets you add and connect audio-processing modules together, where the sound is playing the entire time so that changes to the interconnections and changes to the sliders are heard immediately -- just like with the real thing. The program takes the idea to the next level by letting you incorporate your mouse movement into the control channels. Optionally, you can also incorporate your USB or MIDI (musical) keyboard controller and its knobs and sliders into the mix of control data. The existing introduction video is highly recommended. How to extract: Download RolloSONICv[version number].exe to a folder of your choice (except %PROGRAMFILES%) and launch. Changes include ability to set the on-screen mouse origin. This new version has optional real-time modular output indicators, minimisability for modules, eleven glitches removed, several changes in usability and appearance, UAC (User Access Control) awareness for proper compatibility with Windows Vista and higher, and extensive internal changes to the module subsystem.